When I was diagnosed with an autoimmune disorder, I was put on an elimination diet to cleanse my system that forbid gluten and grains. Failing to find recipes that followed my strict diet guidelines and still were delicious, I began experimenting in my own kitchen. My organic, grain-free creations not only satisfied my own palate, but pleased friends and family as well. 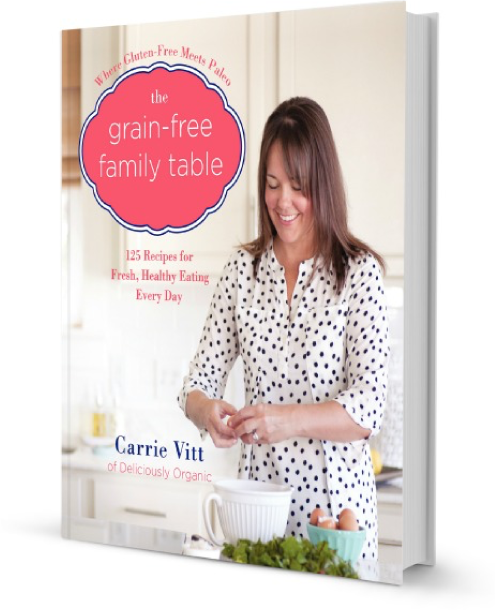 While I eventually reversed my thyroid disease, I continue to champion eating grain free. 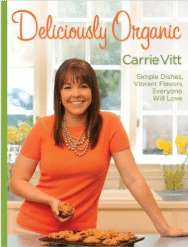 In this beautiful full-color cookbook, I provide delicious dishes for a workable organic, grain-free lifestyle. Included are a diverse range of recipes for everything from pie crust and homemade nut butter to Pork Carnitas Breakfast Crepe Tacos and Grain-Free Biscuits, Avocado with Mango-Shrimp Salsa, Roasted Garlic Alfredo with Chicken and Vegetables, and Cauliflower “Fried Rice.” Here, too, are kid-friendly recipes such as Squash Macaroni and Cheese, Slice-and-Bake Cookies, and a Classic Birthday Cake with Buttercream Frosting. In addition to sources for healthy ingredients, time-saving ideas, health tips, and 125 easy grain-free recipes, there are also simple dairy-free and Paleo adaptations for each recipe (it’s as simple as choosing coconut oil in place of butter!). This helpful sourcebook is the perfect entrée to a healthy, nourishing diet that brings grain-free eating into the mainstream.